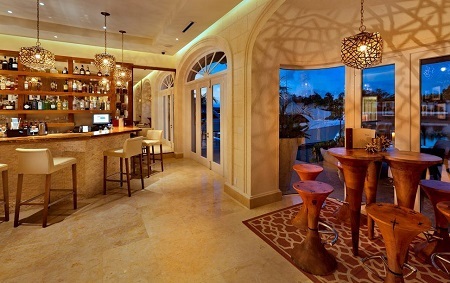 Port Ferdinand Barbados Luxury Resort & Marina in Retreat, St. Peter, Barbados! Bid Per One Bedroom Villa per Night and Choose your Length of Stay! in Retreat, St. Peter, Barbados! Port Ferdinand Luxury Resort and Residences offers all the amenities and services you'd expect of a world-class destination resort and marina. With year-round sunshine, tropical breezes and turquoise seas, everything else just falls perfectly into place. 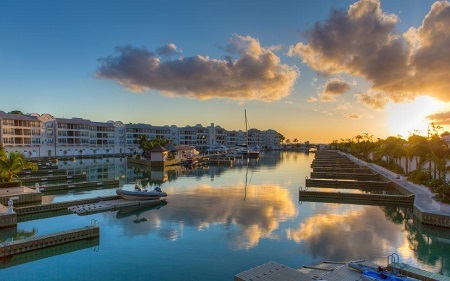 Whether you're living here or simply vacationing at our highly sought-after and award-winning resort and marina, it will be a life changing experience marked by adventure, relaxation and a chance to recharge and reconnect. Where the land meets the sea, that is where the enchantment of Barbados is found. 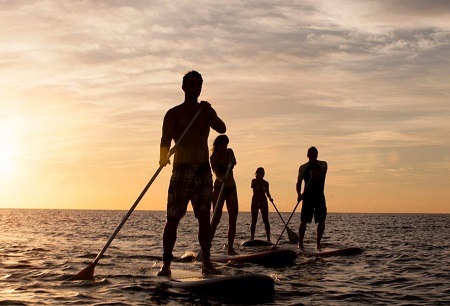 It is along the sea shore, that guests can choose their idea of magic, from lounging on the Pool Island, to swimming, to stand up paddle boarding, kayaking, snorkeling, scuba diving and more, our resort offers every water sport imaginable! At Port Ferdinand, an array of culinary choices are available, from casual dining at The Quarterdeck Bar & Pizzeria to the finest of dining at 13°/59° Restaurant and Bar Lounge. No matter the location, genuine Barbadian hospitality and food with soul are present. Guests at Port Ferdinand also have access to the sister property Saint Peter’s Bay main restaurant, Gazebo Bar & Grill, located a mere 10 minutes away by car or 25 minutes away via the water taxi. 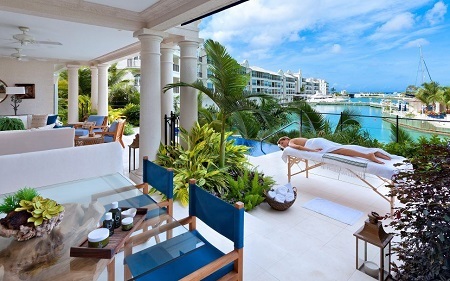 Embrace total wellness at Port Ferdinand Barbados. From the soothing spa services of The Sandbox Tree Spa, to paddle board yoga, Pilates and personal training in our fully equipped Fitness Centre, to quality time and fun in the Adult Recreation Centre, we make your health, wellness and fun a top priority. 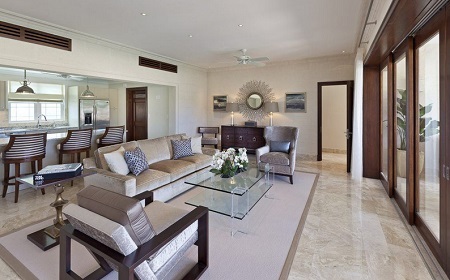 Offer is based on single or double occupancy in a One Bedroom Harbourside Villa for 2 Guests. Experience luxurious splendor in these 2,000 sq. ft villas. Located on the first and second floors, these modernly appointed villas offer sweeping views of the scenic marina and convenient access to an array of on-site world-class amenities. The One Bedroom Harbourside Villas feature timeless styling with marble and limestone finishes, coral stone walls, a fully equipped open plan kitchen, expansive living spaces, luxuriously outfitted grand master bedrooms and lavish bathrooms in which no detail was spared. These villas open on to a large covered terrace offering panoramic marina vistas, perfect for outdoor living, dining and lounging. A Tax and service charge or $59.oo per night is additional. Stay for a minimum of 1 Night and up to 10 nights as desired and based on availability.